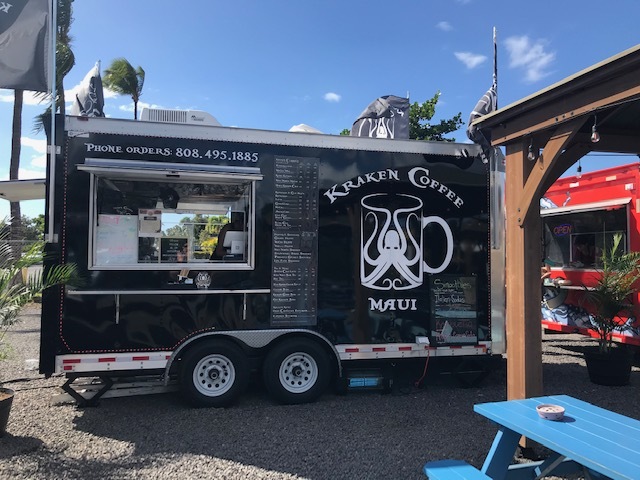 Kraken is open for business as a drive through coffee truck that likes to pump their music in the Kihei Station food truck lot on Piikea every day starting at 6am. Matt and Magna Pigneiro and Josh and Duangjai Marten have teamed up to bring you this new concept in local coffee. 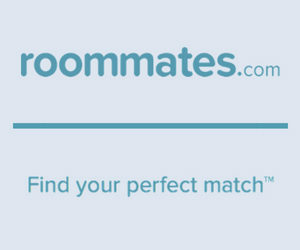 They have chosen a low acid Maui blend and serve a standard 4 shots in their 20 ounce coffees. They also have a very unique burrito, the loco moco breakfast burrito. It comes with gravy inside and on the side. They also serve pastries and vegan banana bread from the Maui Bread Company Bakery. The Kombucha on tap they serve is made by local company Vitalitea. They really focused on a coffee blend that won’t bother. In addition to their very special coffee blend, they have a noteworthy style going on from logo to tees to truck exterior. The Kraken is a mythical sea beast that looks like it shares some DNA with the octopus. It has long been a favorite theme for traditional tattoo artists and vintage illustrations. Kraken Coffee Maui has given their kraken an edgy island tone and branded it on tees, coffee bags, hats and more. You will be given a golden opportunity to try Kraken Coffee this Saturday where they will be celebrating their opening with free coffee for all kama’aina (with HI ID), and 50% off for everyone else, with lots of other schwag giveaways.